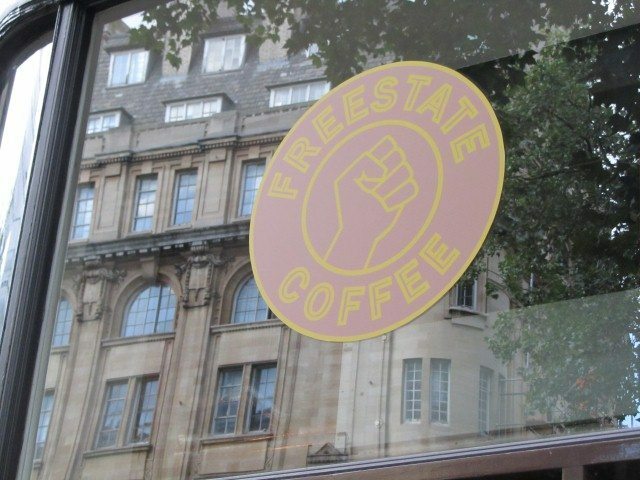 On the outside of the quaint Sicilian Avenue is FreeState Coffee. 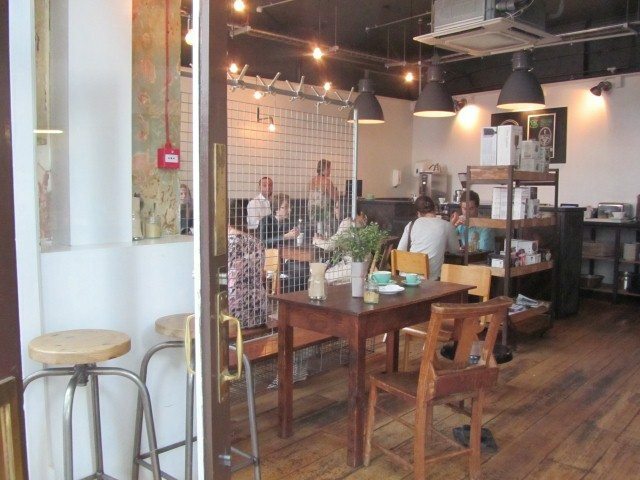 There is a good buzz and a relaxed atmosphere with this coffee shop. Wooden tables and chairs, a bit like Victorian school desks are inside and there are also benches for the outdoor seating. The tables are decorated with green foliage and berries in vases. Lots of natural light comes through into the seating area. The staff are friendly and give service with a smile. They make you feel like a valued customer. There is a counter near the entrance where you place your coffee and food order. Once your order has been made, your name is called out and you go and collect it. 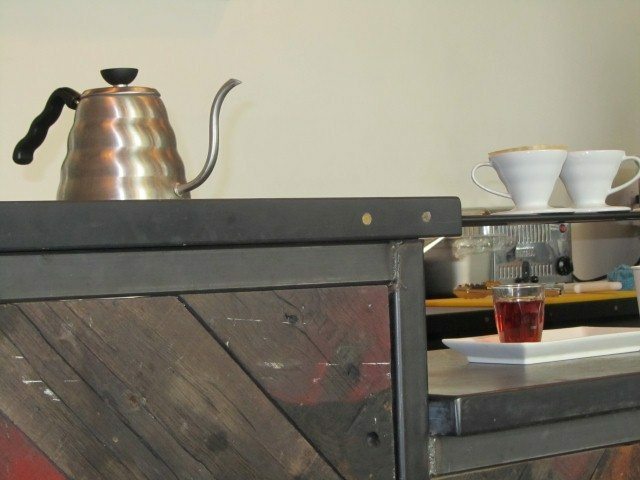 An additional counter is where the V60 Drip Coffee is made. 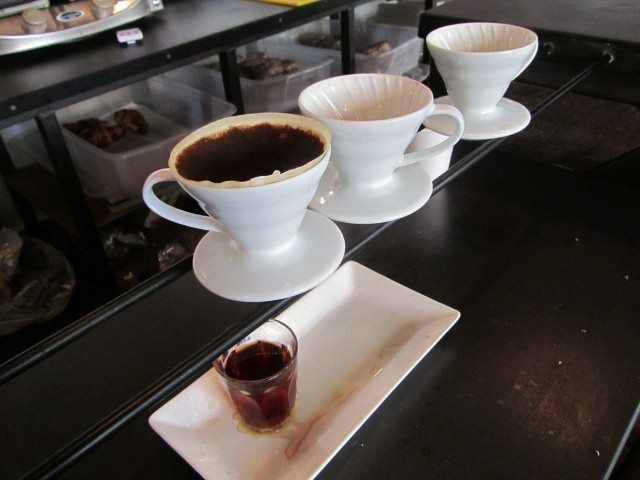 V60 Drip Coffee is a manual style of coffee brewing where the coffee flows through a cone straight into your cup. At the moment, my coffee of choice seems to be the Americano. 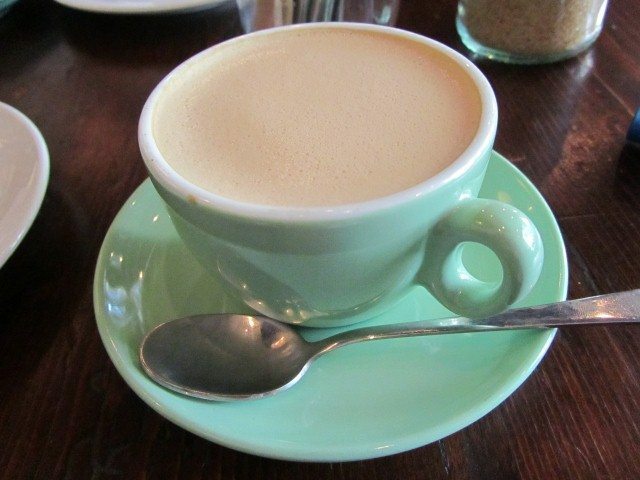 The popular Latte has become too heavy and milky for my liking. It is guaranteed that at some point my drink preference will change, maybe with the change of seasons. As FreeState only do caffeinated coffee, a Flat White soya coffee was had this time. It came in a small green cup. It was a really smooth rounded coffee. There are guest espressos and a daily brew available. On this particular day, the special brew was Caravan roasted Ethiopian and Kenyan coffee. 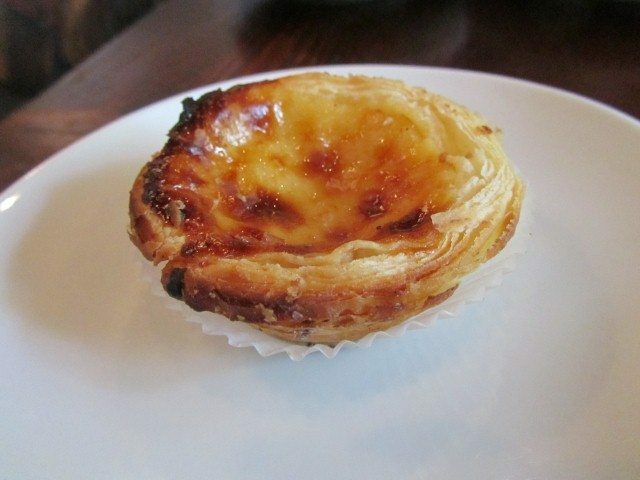 A perfect treat with the coffee was the Pastel de Nata. Sweet, creamy filling encased by the flaky pastry was delicious. The staff were accommodating when we asked if we could have the pastries that had not been on display. They gave us them from the fridge behind the counter. 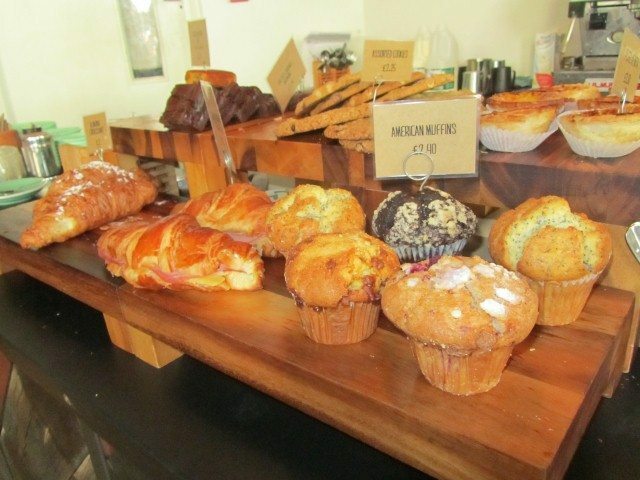 All of the croissants, muffins and pastries are baked daily on site. 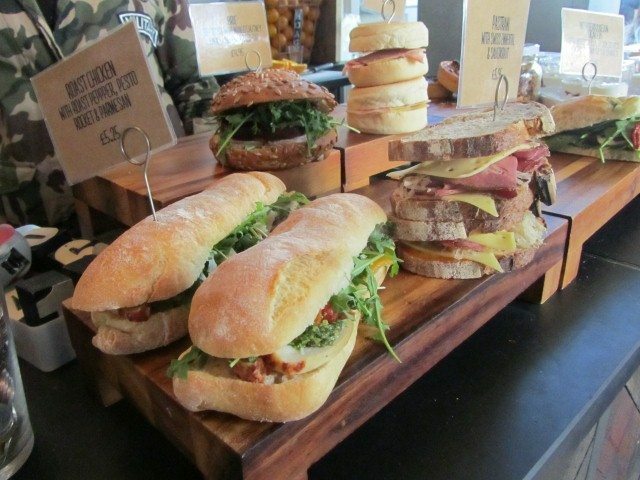 There are also freshly made sandwiches, soups and salads. It is a shame that all of the baked goods and the sandwiches are on open display where the customers queue. It would have been better for the items to be displayed behind the counter or at least with covers. The food looked of a high quality. There was an interesting soup of the day, Kale and Quinoa. FreeState is a wonderful place and it feels like a “proper” coffee shop with its quality coffee, friendly staff and a good place to come and relax!